So far, we have learned how to print the descriptor portion of just a single data set. What if you want to print all the data sets in the entire library? There is a short cut for that. 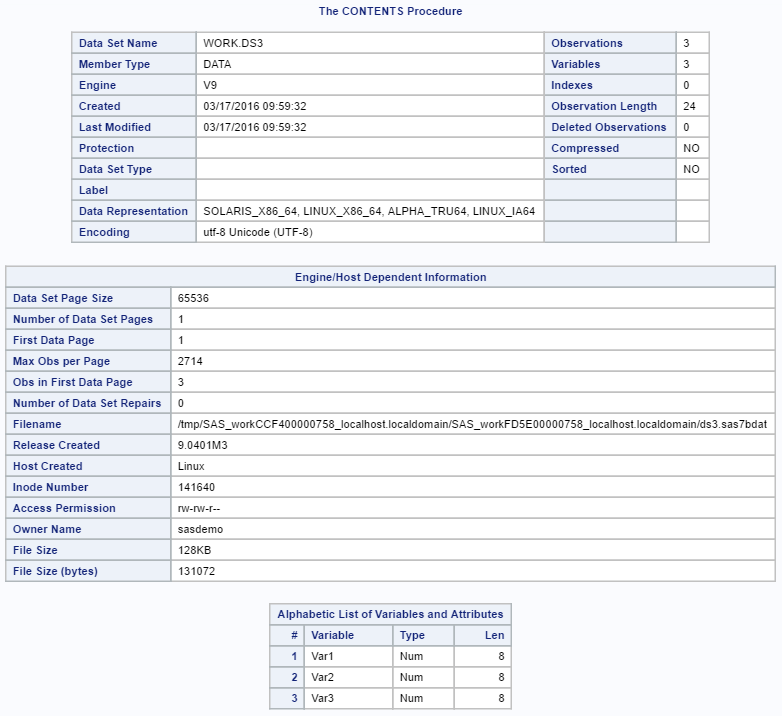 The work._all_ tells SAS to run the CONTENTS procedure on all of the data sets in the WORK library. 3. 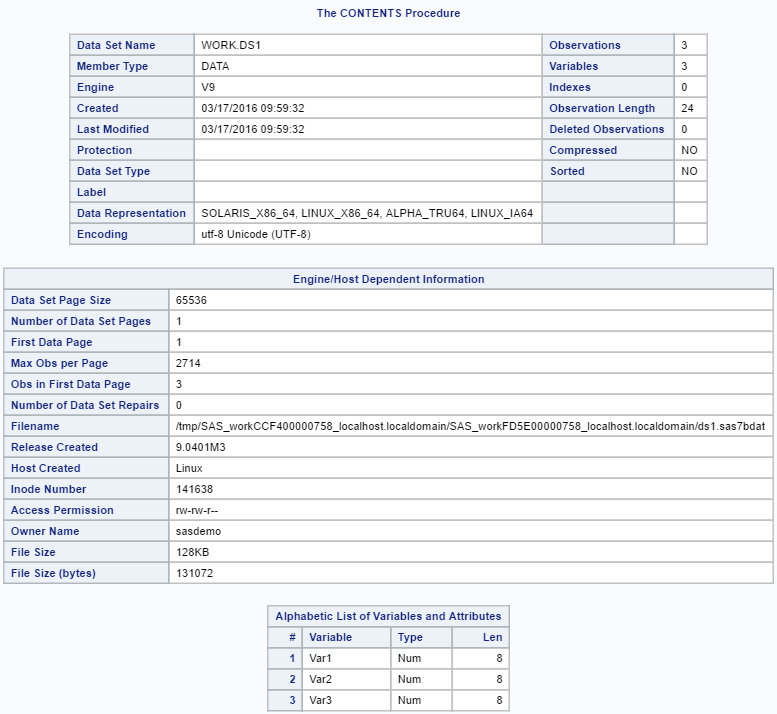 The descriptor portion of each of the data sets in the library. 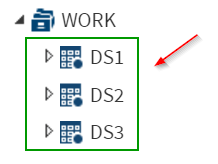 Please note that you are not required to add library reference when referring to the data sets in the WORK library. The following code prints identical results as above. 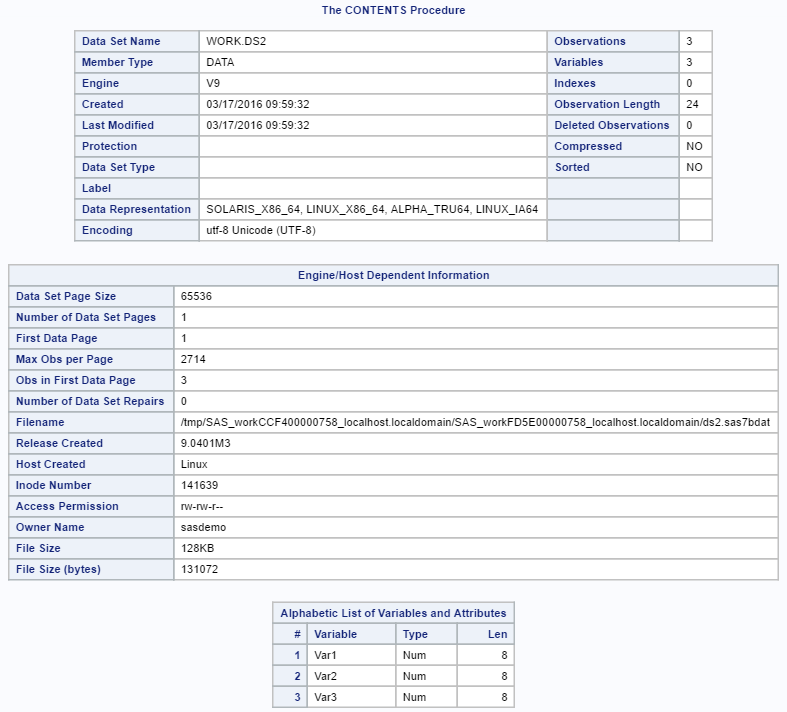 Run the CONTENTS procedure and prints the list of all of the data sets in the SASHelp library.